The proteins present in the plasma of human blood are a mixture of simple proteins, glycoproteins, lipoproteins, and other conjugated proteins are called “Plasma Proteins“. Salt precipitation, immunological technique, and electrophoresis may separate these. This is the most abundant class of plasma proteins (2.8 to 4.5 gm/100ml) with highest electrophoretic mobility. It is soluble in water and is precipitated by fully saturated ammonium sulfate. Albumin is synthesized in the liver and consists of a single polypeptide chain of 610 amino acids having a molecular weight of 69,000. It is rich in some essential amino acids such as lysine, leucine, valine, phenylalanine, threonine, arginine and histidine. The acidic amino acids like aspartic acid and glutamic acid are also concentrated in albumin. The presence of these residues makes the molecule highly charged with a positive and negative charge. 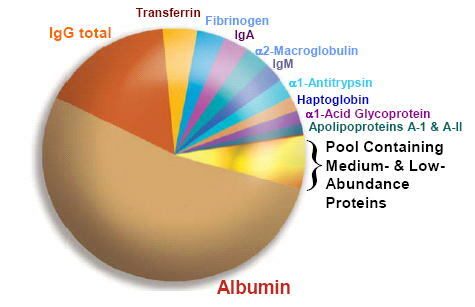 Besides having a nutritive role, albumin acts as a transport carrier for various biomolecules such as fatty acids, trace elements, and drugs. Another important role of albumin is in the maintenance of osmotic pressure and fluid distribution between blood and tissues. Why Proteins are Very Important? How to Explain? By electrophoresis plasma globulins are separated into α1, α2,β and ¥-globulins are synthesized in the liver, whereas ¥-globulins are formed in the cells of the reticuloendothelial system. The average normal serum globulin (total) concentration is 2.5 gm / 100 ml (Howe method) or 3.53 gm/100 ml by electrophoresis. This fraction includes several complex proteins containing carbohydrates and lipids. These are orosomucoid, α1-glycoprotein, and α-lipoproteins. The normal serum level of α1-globulin is 0.42 gm/100 ml. Orosomucoid is rich in carbohydrates. It is water-soluble, heat stable and has a molecular weight of 44,000. It serves to transport hexosamine complexes to tissues. Lipoproteins are soluble complexes which contain non-covalently bound lipid. 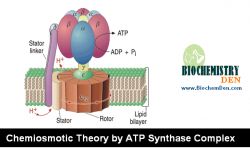 These proteins act mainly as transport carrier to different types of lipids in the body. This fraction also contains complex proteins such as α2-glycoproteins, plasminogen, prothrombin, haptoglobulin, ceruloplasmin (transports Cu) and α2-macroglobulin. The normal serum value of this fraction is 0.67 gm/100ml. Plasminogen and prothrombin are in the inactive precursors of plasmin and thrombin, respectively. Both of these proteins play an important role in blood clotting. Haptoglobulins are also glycoproteins having a molecular weight of 85,000. These are synthesized in the liver and can bind with any free hemoglobin that may arise in plasma due to lysis of erythrocytes and thus prevent excretion of Hb and iron associated with it. 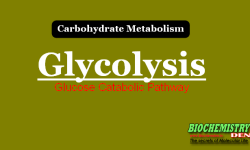 Ceruloplasmin is a glycoprotein synthesized in the liver and is an important component of copper metabolism in the body. Nearly 95% of plasma copper is bound to this protein. This fraction of plasma proteins contain these different β-lipoproteins which are very rich in lipid content. It also contains transferrin (siderophilin) which transports non-heme iron in plasma. The normal serum value of β-globulins is 0.91 gm/100ml. Transferrin is an iron transport protein. In plasma, it can be saturated even up to 33% with iron. It has a low content of carbohydrate. These are also called Immunoglobulins and have antibody activity. Based on their electrophoretic mobility they are classified as IgG, IgA, and IgM. It is a fibrous protein with a molecular weight of 340,000. It has 6 polypeptide chains which are held together by disulfide linkages. Fibrinogen plays an important role in the clothing of blood where it is converted to fibrin by thrombin. In addition to the above-mentioned proteins, the plasma contains a number of enzymes such as acid phosphatase and alkaline phosphatase which have great diagnostic value. Protein Nutrition: Plasma proteins act as a source of protein for the tissues, whenever the need arises. Osmotic Pressure and water balance: Plasma proteins exert an osmotic pressure of about 25 mm of Hg and therefore play an important role in maintaining a proper water balance between the tissues and blood. Plasma albumin is mainly responsible for this function due to its low molecular weight and quantitative dominance over other proteins. During the condition of protein loss from the body as occurs in kidney diseases, an excessive amount of water moves to the tissues producing edema. Buffering action: Plasma proteins help in maintaining the pH of the body by acting ampholytes. At normal blood pH, they act as acids and accept captions. Transport of other substances: In addition to lipids, plasma proteins also transport several metals and other substances α2-Globulins transport copper (Ceruloplasmin), bound hemoglobin (haptoglobin) and thyroxine (glycoprotein) and non-heme iron is transported by transferrin present in β-globulin fraction. Calcium, Magnesium, some drugs and dyes, and several cations and anions are transported by plasma albumin. Blood Coagulation: Prothrombin present in α2-globulin fraction and fibrinogen, participate in the blood clotting process as follows.